DMCI Homes, the industry's pioneer in "genuine, resort-inspired daily living", is set to launch its first residential condominium development in Makati City, the country's premier business district. Named Brio Tower, the project is a one-tower high-rise development nestled in 5,000 square meters of prime property, ideally located along EDSA, at the back of Pet Plans Tower in Barangay Guadalupe Viejo Makati City. 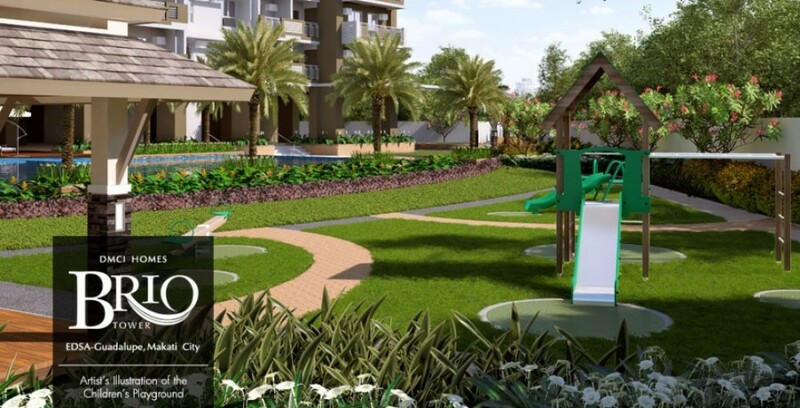 In all DMCI Homes residential developments, resort amenities are planned to encourage a relaxed, recreational lifestyle. At Brio Tower, residents will have a live-work-play environment with open spaces, invigorating amenities and recreational facilities that will soothe tired, aching muscles and frazzled nerves. Unit buyers will enjoy a resort ambience that provides a relaxing escape for residents after a long day at work. 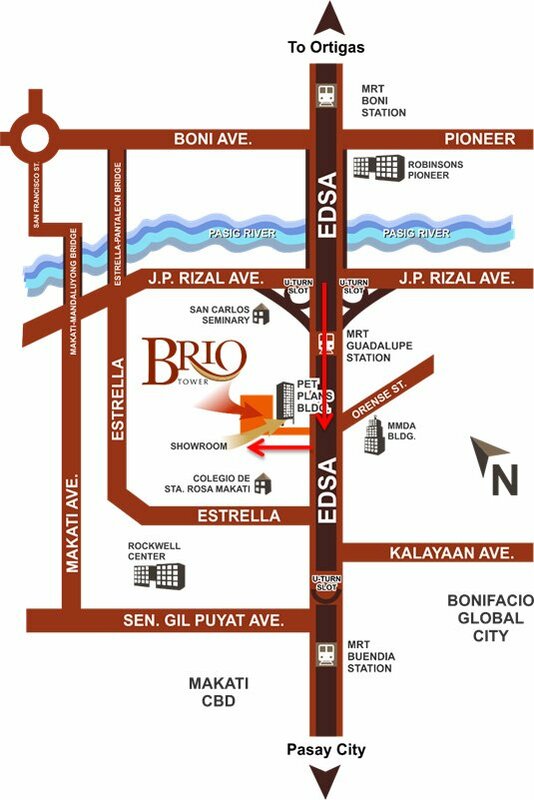 Brio Tower is located at the back of PET Plans Building bounded by low-density commercial and residential areas as the Rockwel Center and the San Carlos Seminary. in Brgy Guadalupe Viejo, Makati City. 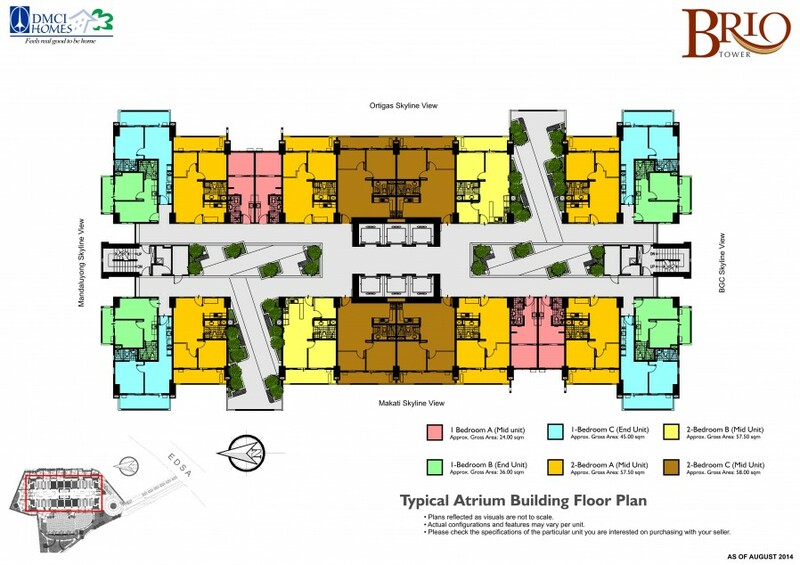 Future residents will enjoy the strategic location of the property, being just a few meters from EDSA. the major thoroughfare in the Metro, where public transportation is available 24/7. The site is likewise just a short distance to Guadalupe station on the Manila MRT Blue Line (MRT-3) making it convenient for residents to easily reach places of interest in the metro. 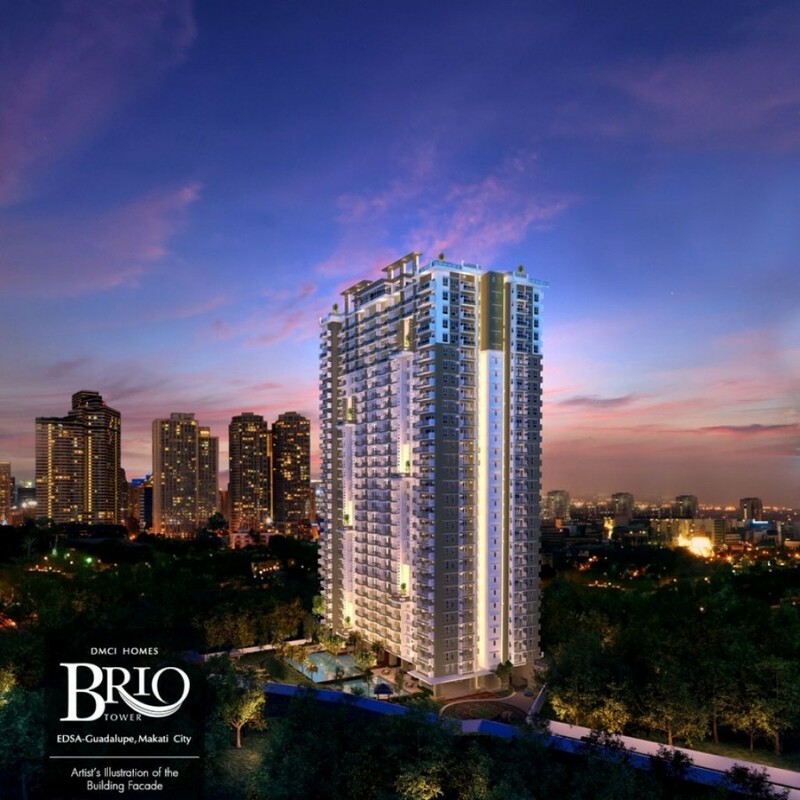 Brio Tower is a single-tower 30-storeys high-rise development of DMCI Homes that will rise atop 5,760 square meters of prime land a few meters from EDSA in Makati City. The development will have an Asian Contemporary architectural theme. 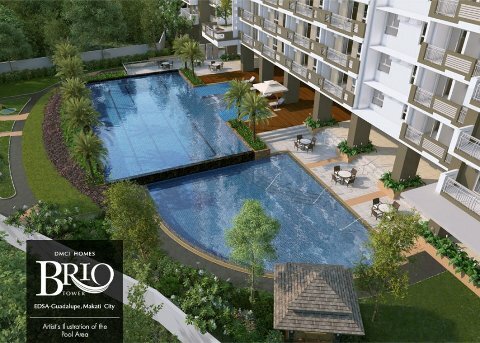 Brio Tower is a single high-rise tower by DMCI Homes, strategically located 30 meters from EDSA, at the back of Pet Plans Tower in Barangay Guadalupe Viejo, Makati. The building is nestled in 5,760 square meters of prime land. Like other DMCI communities, Brio Tower will have a high footprint-to-building space ratio, with a major part of the entire property dedicated to open spaces and greenery, impressive resort-style amenities and other recreational facilities. The development will have 30 residential floors, five basement parking levels and will offer a unit mix of 1BR, 2BR and 3BR options. Heeding the philosophy of DMCI founder David M. Consunji, DMCI Homes remains committed to create only the best residential projects for the market of young Filipino families and professionals. It continues to offer quality-crafted residential projects that are competitively priced to cater to the needs of goal-oriented homebuyers. A tie-up with some of the major banks for financing makes it even easier to own a unit. 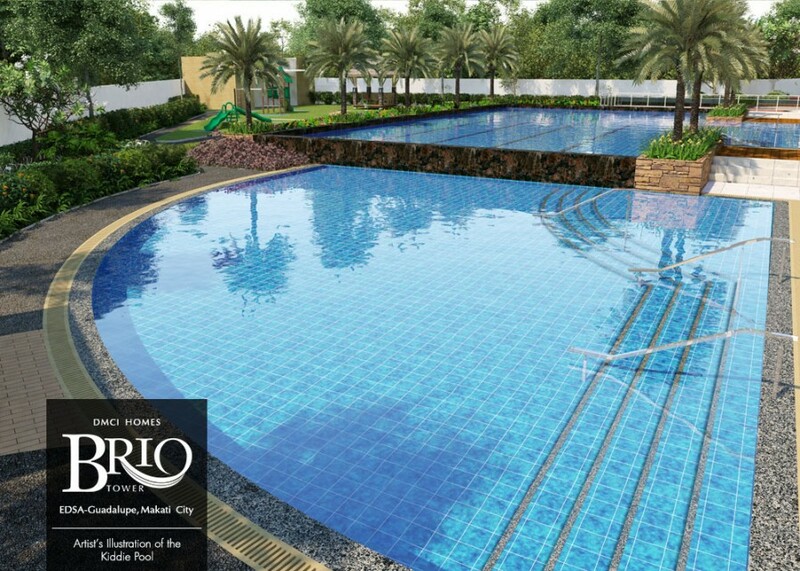 Brio Tower requires a 30% minimum downpayment payable over construction period with a reservation fee of Php 20,000. Sure and secure condo living is definitely within reach with easy financing schemes and flexible payment terms offered with partner-banks.